Little Venice in London is a beautiful and tranquil place where two canals meet. Ideal for a walk away from the hustle and bustle of London city. Do not expect it to be like Venice but yes if you are a kind of person who enjoys a walk along the canal then it is worth visiting ..
Little Venice is a picturesque and peaceful area with boats moored along the canal flanked by trees and flowering bushes. Ideal for a walk away from the hustle and bustle of London city. Do not expect much from this place in terms of activities. Apart from taking a stroll you can enjoy a relaxing boat trip. Also, there are some waterside cafes where you can sit and enjoy a meal. Little Venice lies just north of Paddington and for cricket Lover’s – near Lord’s cricket ground. 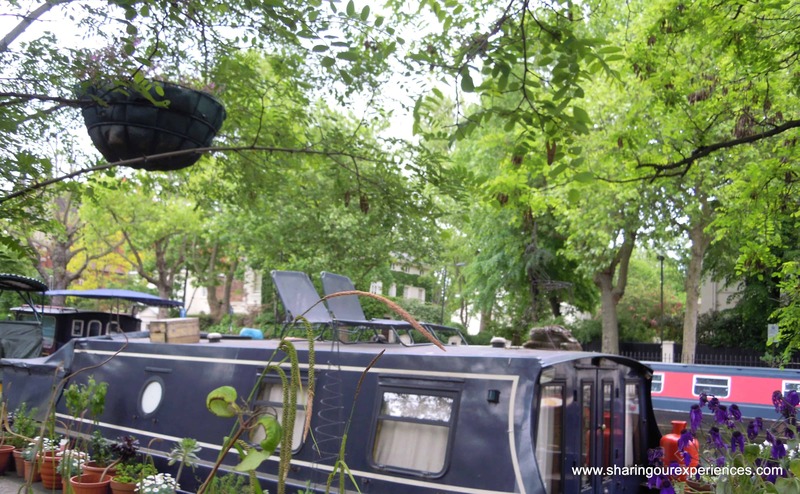 It is a tranquil area where Grand Union and Regent’s canal meet. If you are coming by tube then the nearest station is Warwick Avenue underground station on the Bakerloo line. You can also come here from ZSL London zoo by walking along the winding Regent’s canal or taking a relaxing boat trip. You can plan to visit this place along with some nearby attractions on the Bakerloo line ( may be a day out at Regent’s park and ZSL London zoo with a stroll in Little Venice in evening). superb….and vry vry nice clicks ! !